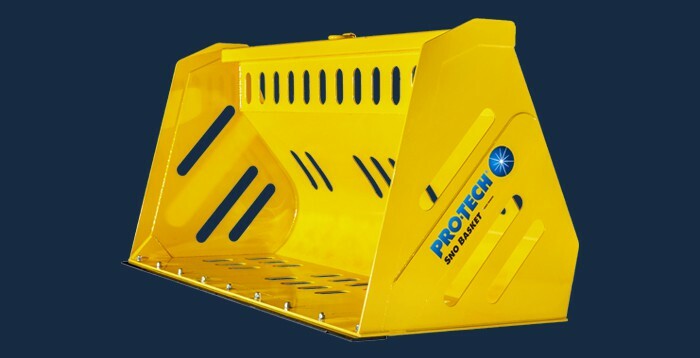 Pro-Tech’s Sno Basket is a lightweight bucket that allows for easy loading and hauling of snow. The combination of heavy snowfall and growing traffic on retail properties often results in the need for snow to be moved around on site or transported away. 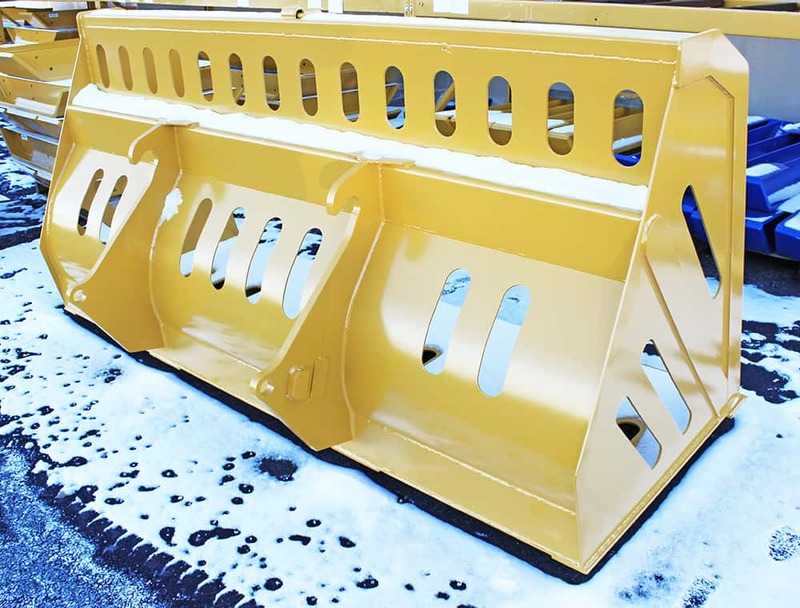 The snow basket features a flat-bottomed design allows for maximum collection of snow from piles. 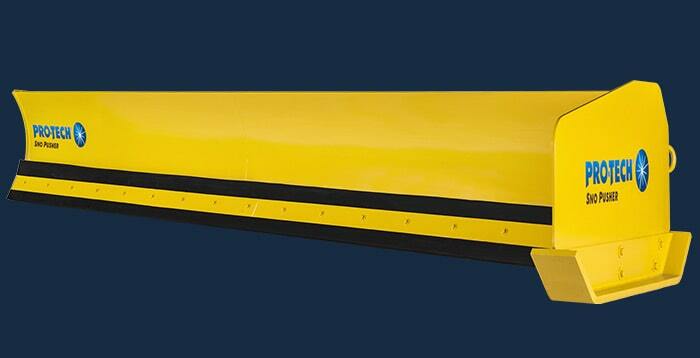 It also offers more than twice the capacity of most stock backhoe and compact wheel loader buckets. 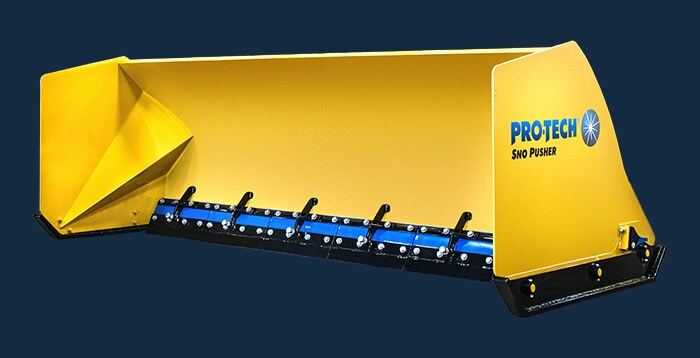 Using the Sno Basket can also significantly reduce the wear to expensive cutting edges found on most stock buckets. 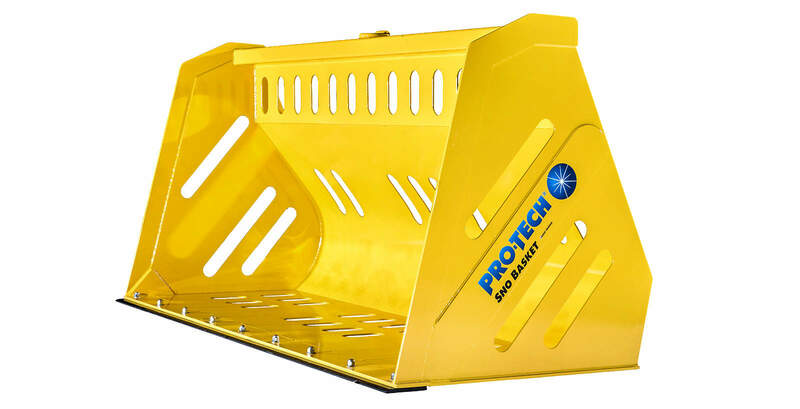 The Sno Basket comes with a durable but economically priced replaceable steel cutting edge. 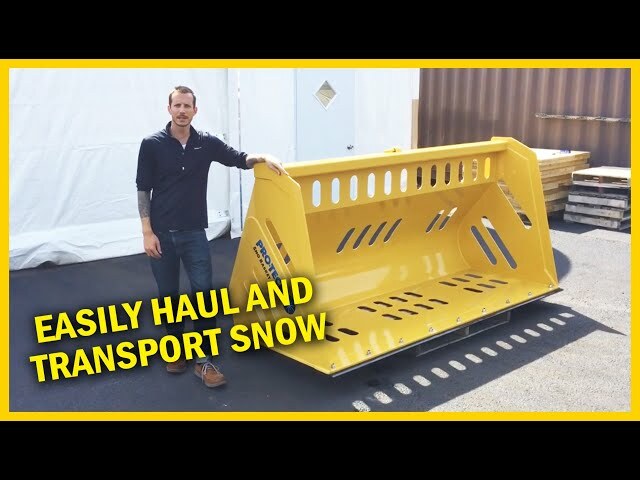 This winter if your property requires loading and hauling of snow, stop wasting time with a standard bucket and get a Sno Basket! 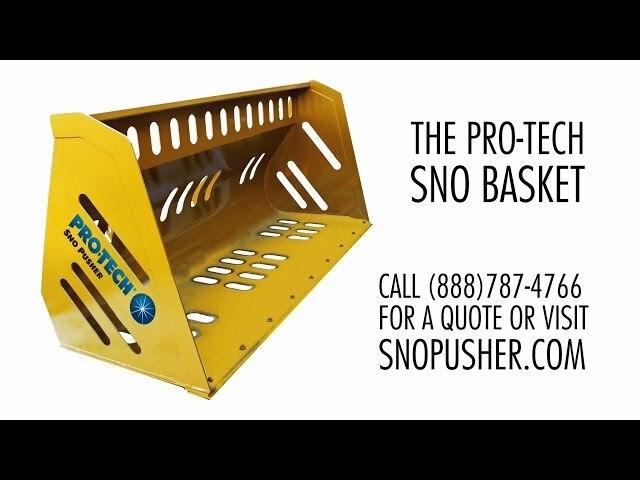 The Sno Basket is a custom sized product. 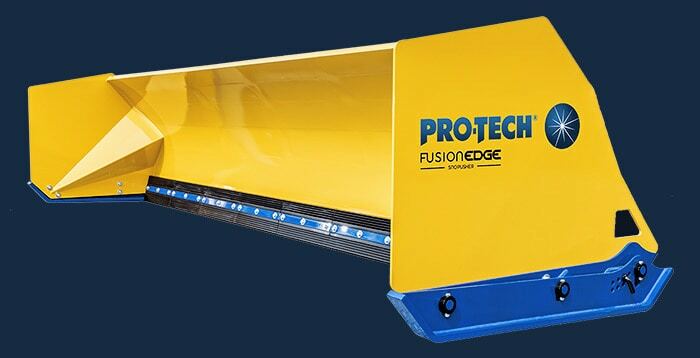 Contact us directly to discuss what size is best for your machine and needs. During continuous heavy winter events and cold spells, snow can stack up on a property. 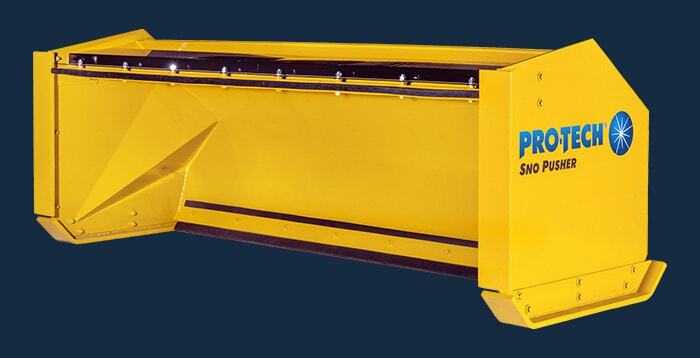 Snow removal companies will then relocate snow onsite or haul away. Situations like this often require a snow basket or snow bucket. 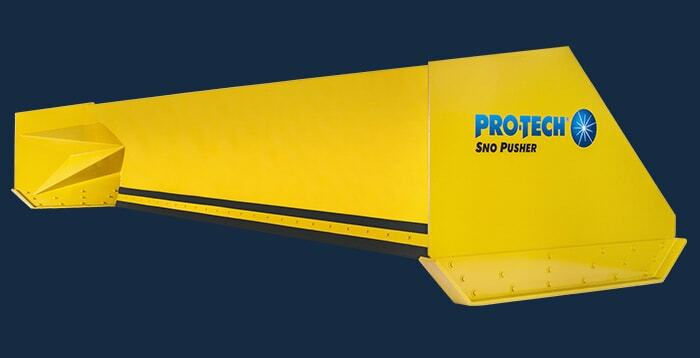 Pro-Tech’s Sno Basket is designed specifically for relocating or hauling snow. 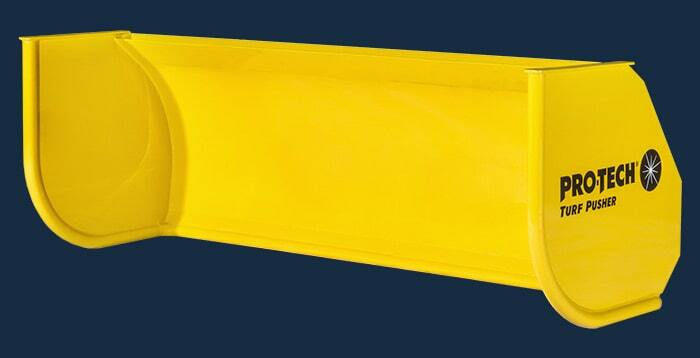 It can contain significantly more snow than a bucket and is not as expensive to maintain. 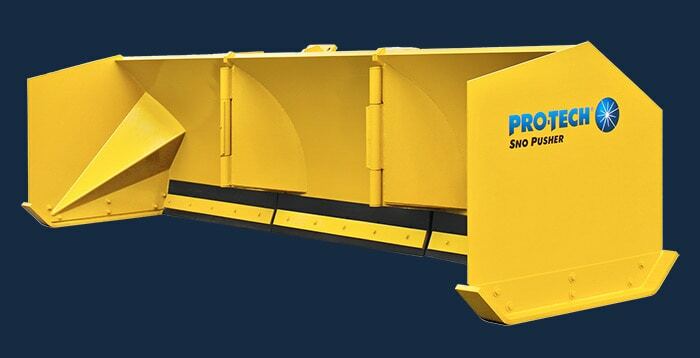 The Sno Basket features full-welded seams, high-quality construction and can withstand the most severe winter storms. 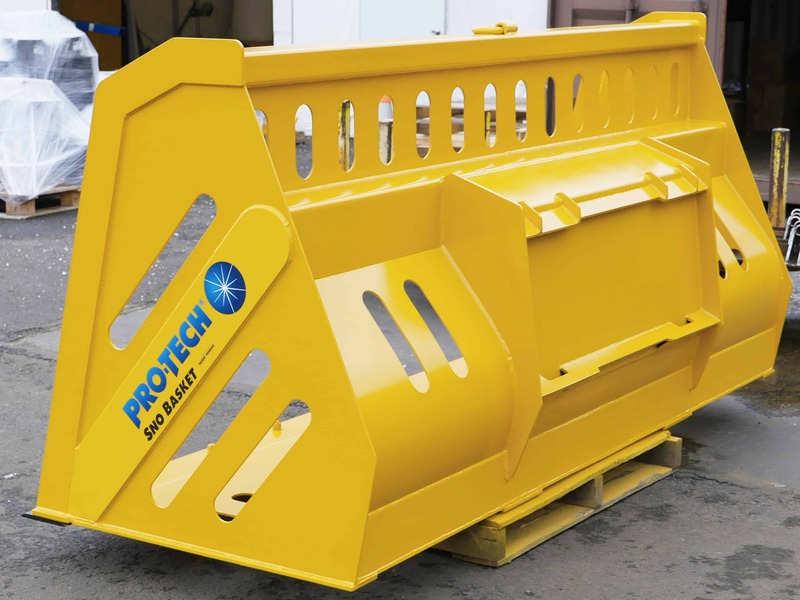 Every Sno Basket we make is crafted to meet your specific property and equipment needs. 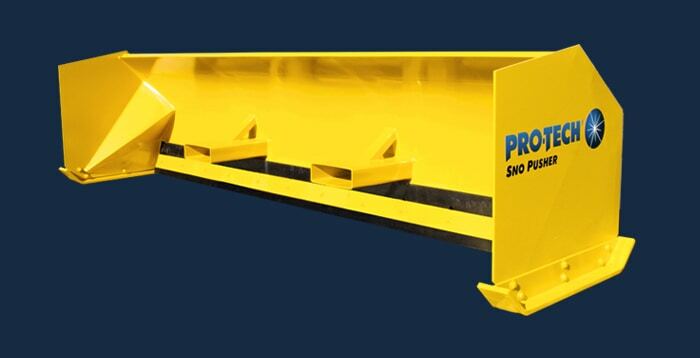 Sizes typically range from 8’to 12′ and can be equipped with JRB, Universal, ACS, CAT IT and other connections. 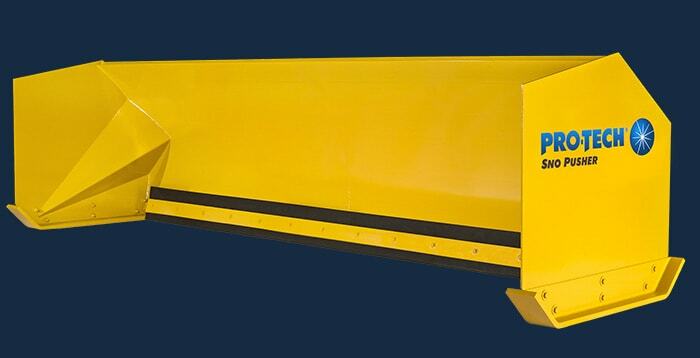 Please contact us directly to discuss your needs and receive a custom quote. "We’ve got just about every model that you make. 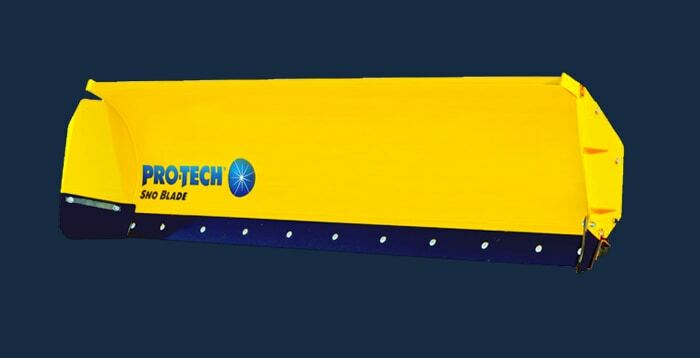 One of the things that made us choose Pro-Tech is price and the quality. 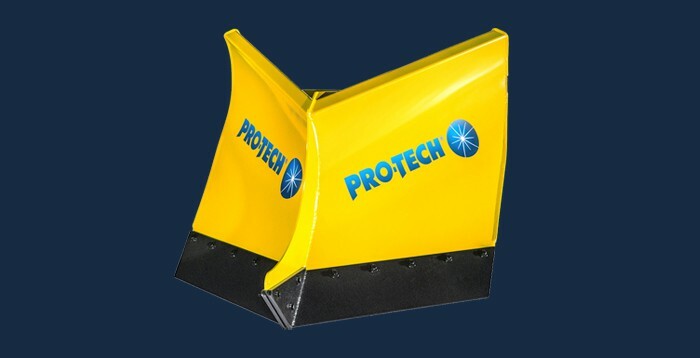 Pro-Tech has made our company more profitable simply by being able to move snow quicker, and further, and easier. It saves time and it’s efficient."